Tripoli based Pakistani rapper Mudassar Qureshi drops his new track, which is based upon the current situation of Libya and its people, after the Libian Civil War, which lead to death of Muammar Gaddafi. The track is named “Halaat”. He describes the current situation, and the consequences of war, and compares it to the Gaddafi Era. This Song Is About The Situation Of Libya After The Revolution. How Many Foreigners Are Surviving Because They Don’t Have Else Where To Go & How People Suffer When They Go To Visit There Motherland. How People Get Targeted Of Daily Loot Even The Libyans Even They Are Not Safe Here. We Need Government We Need Law & Proper System. After Getting Depressed From The Situation Mudassar Qureshi Decided To Rhyme His Anger In His Music. DRS TV Caught up with Rapper / Producer DJ Danny for a short conversation. We spoke to him about his present, past and future, as well as his take on Desi Hip Hop in the subcontinent. Read the whole conversation we had with DJ Danny, as he speaks his heart and mind. DRS: First of all, tell the fans something about your Life, Childhood, schooling and your hometown. Danny: Well I’m Adnan Rao . Born and raised in Tripoli , Libya . Spent 18 important years of my life there . Even though being originally from Islamabad , Pakistan . I still do visit on specific special occasions and pretty much all of my schooling was done in Tripoli . I graduated from ‘ The International School Of Martyrs ( I.S.M ) ‘ back in 09 . I do hold Libya very close to my heart . I guess it’s how it is with everyone being brought up far away from the country itself . You start to blend with different cultures outside of home and at school . That really had me interested and curious about the world . Always learnt something everyday and I never forgot what my parents taught me . That was really important being from a Punjabi family . Learning how to speak the language and getting to know all about my country was something I just had to do . Did change schools for just one year – Grade 10 – P.C.S.A.C . Pakistani system had me trippin’ major haha ! Met some life long friends that have sadly spread all over the world now . Learnt about Pakistan itself , took a nose dive into Pakistan’s history and geography related subjects . One reason why i’m really patriotic . DRS: Journey from Adnan to DJ Danny. How did Adnan become DJ Danny ? Danny: Danny was always around . Family and close friends used it as a nickname . Dj Danny came around when I was 16 . It was unexpected and one thing led to another . A close friend of mine named Aws Sherif handed me a Sony Sound Forge CD back when we were 12-13 . I wanted to mess around with some mp3 files I had and shove them into my new mobile . I was one of the cool kids that had one back then early haha ! I was all into editing music files that I wanted as ringtones . Got carried away ended up making remixes . Screwed around far too much and the next thing you know I was producing/sampling beats . Then came the rap part . It all led from nothing to something . Determination got me through I never knew I’d be making my own songs . I love music on a serious note . That’s when you make sure you know everything about it . The motto’s always been ‘ If you like something and it makes you happy never let it go ‘ . Grade 10 , 16 years old making remixes that spread around school . To even making a song where I dissed my own school principal haha ! Always been a rebel within not the kind that would hop on the bandwagon because the whole world thinks it’s cool . People wanted their speakers to blast and I made that happen . They started calling me Dj Danny . I never asked for that name it was given . I carried on the legacy and just kept it going . My first rap song was named ‘ My Turn ‘ no one heard it because I lost it before people could get their hands on it haha ! Made this trademark that I use on every song I have something to do with . I still use it on every song . That reminds me of how I started . I don’t want to change that feeling . Always wanted to make music that people would remember . That’s what the Dj Danny in me had in mind all the time and he just kept going . Not to confuse it with Adnan . The world hasn’t heard of him yet . Adnan writes rhymes more like poems , complex . It’s the dark side that you listen to when it comes to Dj Danny . You will however get to listen to Adnan in the future too , no doubt ! DRS: How many years have you been in music for ? Danny: Started making remixes at 13 , officially as a rapper i’d say it’s been a little over 3-4 years . I’ve started to take it real serious after getting to know what the people really want and expect from you . Never want to disappoint the fans . They’re the true motivation that keeps you going . DRS: How has the Journey been so far ? Danny: I’ve come a long way from where I started . From recording at home , to getting played on the radio . Then getting interviews on radio channels all across Pakistan . It wasn’t normal . You have to work for it . It’s been a great experience so far . I mean I don’t even have official videos or an album and I got fans joining the facebook pages daily . Youtube crossing over 100,000 views that also includes as an achievement . Recognised rappers from Pakistan and etc. joining forces with me making some good quality , hits that the fans end up loving . People know what i’m capable of . I see the respect . I love that feeling . The fans will get albums and videos from myside soon . I’m just not in a position to launch a full-fledged attack on the music industries in the sub-continent right now but it’s a promise . Trust me I get around ! DRS: Your take on Hip Hop in Pak / India ? Danny: Hip-Hop in the sub-continent is always appreciated . Be it desi or non-desi people take great interest , go to concerts , watch the videos on youtube and etc . It’s just the way that they stereotype us , that’s what I hate . See we have hip-hop as a genre and hip-hop as a culture . As a way of life . Young rappers get it all confused trying to copy the styles they have in the west and etc . Stay true to you . You’re not like them quit acting like them . Dammit quit dressing like them too ! Take a look at me . I’m not walking around with Yankee caps on my head and swinging chains just because I saw 50 cent do it in his video . When you rap it’s something else . Bring ‘ you ‘ into the song and keep the ‘ yo-ness ‘ out . You got the accent not a problem because the people back home might relate to it . Just don’t try to fake it . You don’t want to scrape fame off stuff you wrote that YOU can’t relate to . This goes out to alot of rappers I see in India and Pakistan . I’m not saying everyone’s doing the same thing . Yeah we have artists that have proved to be worthy enough of being called ‘ rappers ‘ and ‘ producers ‘ but it’s really the other kinds that fake it and ruin the whole image . If you can’t do it IMPROVE . Don’t want to stop rapping ? Learn the art of rap FIRST . It’s like a war you need to make sure you have all your guns reloaded . You don’t want to be caught off gaurd . You mess with someone that knows what he’s doing and he’ll simply end your whole hip-hop dream ! I’ve done that to a couple of guys that were sneaking around . I’ve gone through battles , I don’t mess with people that aren’t on my level . I’d probably diss you and forget you . Sometimes you just need to get on your beast mode . You start a fire you better have the fire extinguisher or a person like me knows how to fuel that and burn you to bits and pieces . Keeping it real is a must . Write rhymes you can relate to . It’s just that damn simple . People would start respecting the art then . Heck hip-hop is so vast . I use it to express myself really . People know how I feel about a certain topic . I have my say and it’s done . These pop stars and disco dancers don’t work as hard as rap artists do . We write ! Write stories & complex stuff . Making the world dance or making the world sad is quite easy . But do you make them think ? Ponder on facts separated from fiction ? Exercise the brain making sure it’s intact with reality , that’s what we do ! DRS: Tell us somethin about your debut collaboration project Death Row Desi. 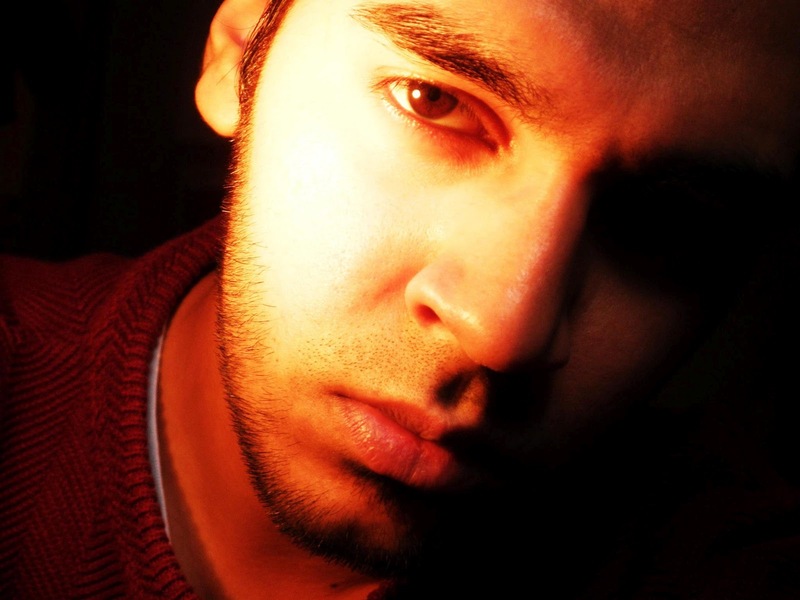 Danny: Death Row Desi ( D.R.D ) , was my first collaboration mixtape with Crack ( aka Waqas ) . I sensed lethal musicial chemistry between us . Threw a couple dozen tracks at the fans , gave them the tease . They reacted . So I put in work with Crack on the tape . We got real heavily involved with the whole concept . He agreed and had the time to record , I was making sure we laced it with perfection and it all happened over a period of 6 months . Learnt marketing in a way too . You need to feed the fans . Once they fall in love they can’t get enough of your music they want more . They expect . We keep up with the expectation . D.R.D was a massive hit for me and Crack . People still viewing the songs on youtube , reverbnation , myspace etc . They still send me msgs about the way it helped them get on with their life . Gave them hope and etc . I made sure we had strictly desi lyricial content on it when it came to Crack . He was the punjabi rapper . I Experimented with some beats the outcome was ravishing . Death Row Desi , will never be forgotten . Not to miss out on mentioning the amount of other artists we had on the tape too . It sounded more of an underground album when I was giving it the final touches . I still bump to it and love almost every track we had . The whole English-Punjabi collaboration ended up proving very lethal . We had great other rap artists from around the globe working with us ( Pakman , Nottotune , Roxy , G Frekey , Z Flo , Aman D , Undefined and etc . ) Undefined still is one of the most underated producers of the sub-continent . Got to give that young blood credit for hits like ‘ Blazin’ Love , Witnesses , Desis Get Down ‘ he’s one reason why D.R.D was a success itself . He’s holdin’ it down in Karachi right now . I have plans for another D.R.D project . Might drop sometime next year so be on the look-out for it ! DRS: Your favorite song from your own tracks ? Danny: I love all the songs I do haha ! But my personal favourite would be ‘ Tun ‘ . I just loved the fact that I ended up sampling the legendary Amitabh Bachan . He’s my favorite Bollywood actor and to get him sampled on the chorus , intro + outro just proved addicting . You are not a ‘ Dj Danny ‘ fan if you haven’t heard it on Death Row Desi . I have dozens of other unreleased/unfinished songs that I’d include on this list but the fans havn’t heard them yet so I won’t be naming any . DRS: Favorite Song from other underground artist’s tracks ? Danny: I listen and stay updated with everyone I work with . Crack – Cold Blooded – He went all in on his verses , I was on the 2nd verse and chorus but he really took that track to places . I still get told by friends of mine that they still hear that track being played on the streets of Pakistan . Nottotune & Guru (Yung HNI) – Giddeyan Di Rani – I still listen to the mix , both friends of mine always do a great job when they collaborate . I personally shared it with quite a few friends of mine too . Rap Engineers – pretty much everything they come up with goes straight into my collection . I’ve made some pretty good music with them too . It’s not the end we’ve got alot of surprises for you so you better keep checking for updates . Adil Omar – One of the many few that have really had the chance to go all in when it comes to Hip-Hop . His new fans know him from the videos . I knew this fellow when he was on orkut . I’ve seen him rise . He’s going places and I’ve always kept myself updated . Eradicate’s a song I still bump to , stay on the look out for his album it’ll definitely be dope ! I could keep going but like I said I’m always aware of what’s happening in the underground hip-hop scenes in India & Pakistan . DRS: Top 10 Favourite artists of all times. Alright well I got carried away I never should’ve answered this question haha ! Danny: 2 Pac : As far as hip-hop is concerned – I’d like to thank my two big brothers that handed me my first ever rap album . They were always true fans of the westcoast . Had me addicted to the music afterwards . Him being one artist my Dad still listens to . Considered him a legend always and I grew up listening to him . The talented die young but their music never fades away . I never used to totally understand what Nusrat wanted to say in his music until I grew up and realized it was deeper than the deepest ocean that ever existed . He was just that type of person ! Rest In Peace to both artists though . They’ll keep inspiring me wherever I go and I’ll make sure I hand their music down to the future generations too ! DRS: Do u think hiphop plays any role in bringing peace across the border and uniting the public ? Danny: Hip-Hop for me has always been a way to express yourself . Rhymes that speak for itself . Feelings put into a song , mastered and mixed with emotions . Heard by many and felt by some . Music as in general can fuel revolutions . Uniting people , raising awareness , pin-pointing problems in the society – It all comes down to music made from heart and written with meaning to it . People make garbage that gets promoted and is thought to be ‘ cool ‘ so a group of people just spread the word about it but NO . Explore this world and you’ll find gems in the making . Music can end wars and start them too . It all depends on how you want it to be. Power with the people . DRS: Tell us something about your Future Projects ? 4 – A lot of other songs that I’m working on whenever I get the time . DRS: Anything you want to say to upcoming artists ? Danny: I love everyone who supports hip-hop in Pakistan / India . I know the media doesn’t give us the shine we deserve . Goes for the big fishes in the game but there’s too much talent that is just waiting on it’s time to rise and when it does . There ain’t no stopping them . DRS: A message to fans ? Danny: I’d just end this interview by saying a few words . If you want to get into this ‘ hip-hop ‘ world . Don’t be good or great be legendary ! Dj Danny & Nottotune have came back together once again after a long time, for this dope collaboration called “Smoke Sessions 101”. The track is produced by the legendary Panjabi Mc. One of the best rappers from Pakistan, DJ Danny is back with another unreleased track from his mixtape Death Row Desi. The track is called “Paisa Nasha Pyaar”. Track has been produced by DJ Danny himself. DJ Danny produced the beat to Paisa Nasha Pyaar same time last year . Didn’t include it on Death Row Desi because He clearly had too many songs and material on there that Danny and crack couldn’t get rid of . He decided to hold this one back .You’ll realise the laid back flow and a track that didn’t really reflect to the title given at the end of the day. So that’s why He kept this as an unreleased semi-finished joint. But now as we come closer to the 1st DRD anniversary He feels like giving these leftover tracks some shine. This is some real talk right here. this is a must listen.